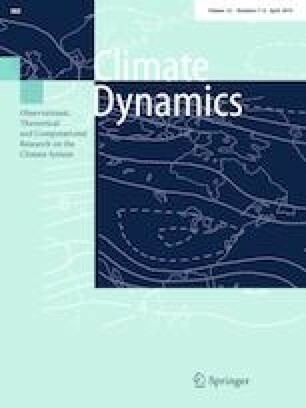 The assessment of predictability for decadal predictions of quantities like temperature and precipitation typically focuses on regional and temporal mean values. However, changes in extremes can be different to changes in mean climate, and accordingly their predictability may be different. We use simulations from CSIRO-Mk3-6-0 (CMIP5 archive) to set up a ‘perfect model’ experiment to compare the predictability for mean and extreme temperature and precipitation on interannual to decadal time-scales. The results show that both the mean and likelihood of near-surface temperature extremes is potentially predictable in many regions in the first lead year, while the areas with precipitation predictability tend to be mostly in low-latitude regions during this period. On decadal time scales, significant potential skill for mean and extreme temperatures is found over the North Atlantic and Southern Ocean but also over some land areas including North Africa, Europe and North America. The general spatial patterns of predictability are very similar between the mean and extremes. However, indices of moderate temperature extremes in particular show a tendency towards higher predictability than the mean. The approach to studying predictability presented here uses international coordinated model intercomparison project simulations. However a larger number of different initializations would be required from more models to allow improved robustness of the results. The online version of this article ( https://doi.org/10.1007/s00382-019-04734-z) contains supplementary material, which is available to authorized users. This study was supported by the Australian Research Council Grants CE110001028, CE170100023, DE150100456 and DP150101331, the Spanish Ministry for the Economy, Industry and Competitiveness Ramón y Cajal 2017 Grant reference RYC-2017-22964, and the Australia-Germany Joint Research Co-operation (German Academic Exchange Service, DAAD) Grand ID 57219579. We thank the climate modeling groups contributing to CMIP5 for producing and making available their model output. We also acknowledge the Miklip (Mittelfristige Klimaprognose, http://www.fona-miklip.de/) Evaluation System hosted by the German Climate Computing Center (Deutsches Klimarechenzentrum, DKRZ), which was used to perform part of the analyses.